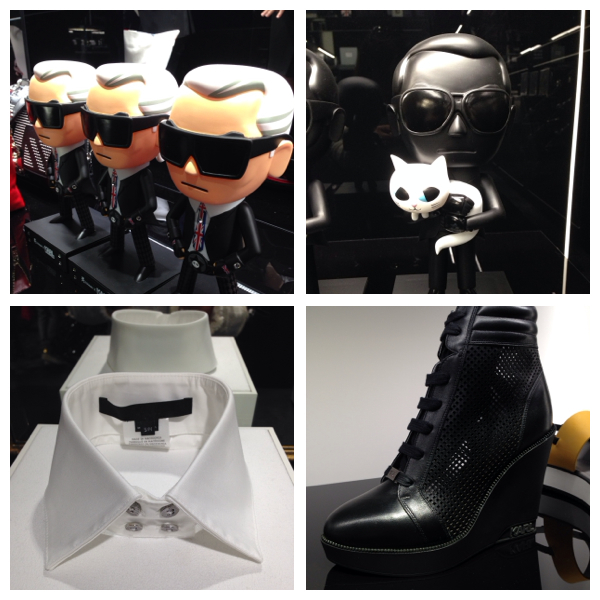 I’ve had the strangest evening at the opening of the Karl Lagerfeld store on Regent Street. If you read BBB regularly, you’ll know I’m a Karl fan and it’s been a very long-held ambition to actually see Karl in the flesh. Job done today! I’ve seen Karl. 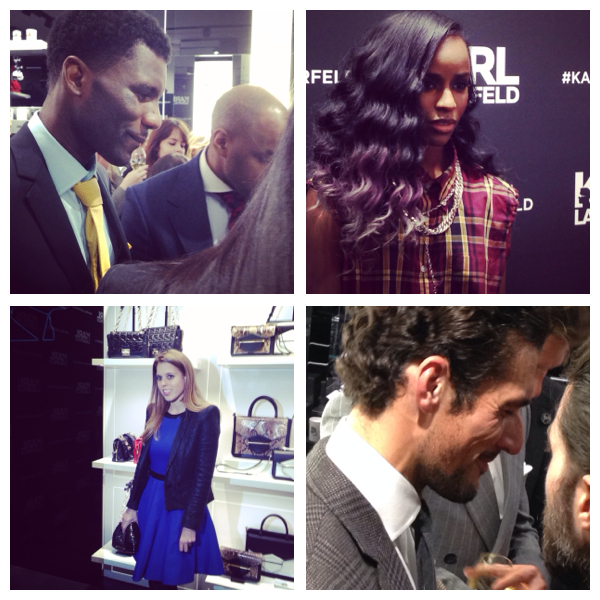 As a general rule, I’m not interested in celebrities, but I’m fascinated by Karl Lagerfeld. 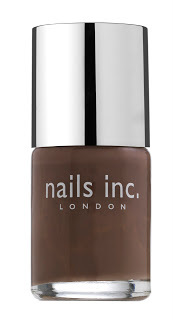 Someone told me he was a bit dusty – he likes to powder his hair and powder his face (don’t pat him on the back! #clouds) and I totally get what they meant. He is an old, old man. But, oh my.. dapper from head to foot. So, let’s go behind the scenes – the last time I can remember a crush like this was at a Kardashian event. First of all, the celebrities rock up (I had a few rapper fails on Instagram I’m afraid – Reg 32 turns out, apparently, to be Wretch 32 #awks); I’m so not into celebs that I didn’t even know that was David Gandy, but I did recognise Princess Beatrice (absolutely sweet with the manners of an angel) and to this day I’d probably never recognise Amber Haze (not Hayes – #instafail) again! The store is quite small for the immense number of people being crammed in. The one thing I want is a picture of Karl so we go downstairs where a section of the store has been roped off. This is apparently where Karl will sit. 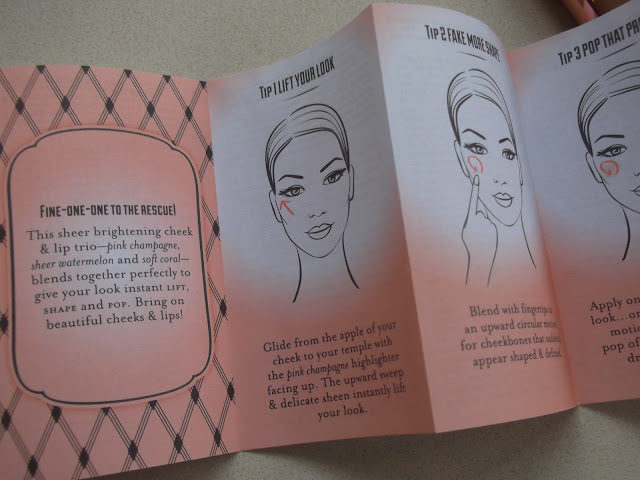 The fragrance is very, very pretty – I wasn’t expecting that – it’s commercial but very wearable – full of peach and flowers; easy to have on the skin and rather sophisticated. 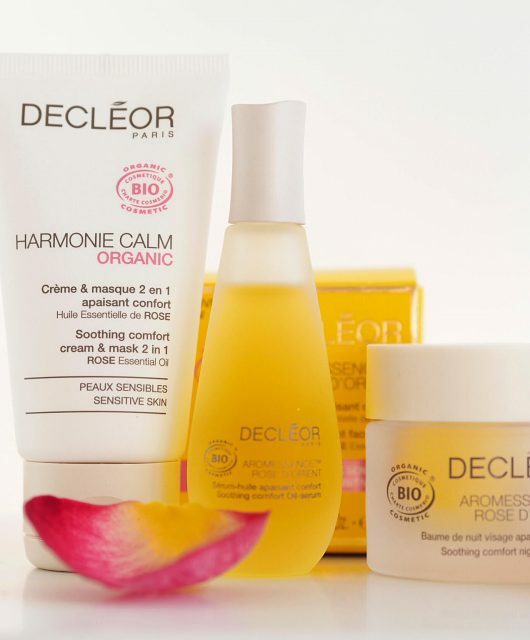 It starts with fruit and roses and dries down to sweet woody notes. Downstairs in the store is the men’s section of clothing – upstairs is women’s. Given that black, white and cream are my dressing staples, I was going through the racks thinking I would like to wear just about everything! I hope it’s not rude to say that the clothes are much better than I thought they’d be. So, what’s in the glass? 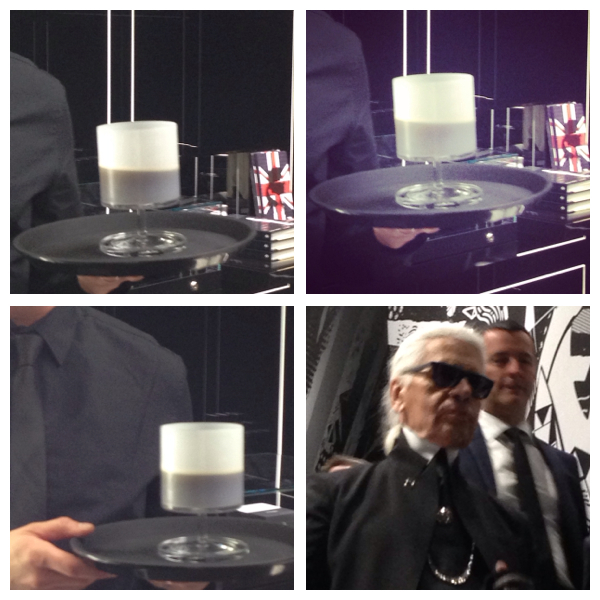 This is Mr Lagerfeld’s Diet Coke. As we waited for him to arrive, it was changed three times because it had risen above the required temperature. I’m not even joking. I think we all expected him to be late (an hour and half) but the atmosphere was electric and there were really too many people for such a small space. Rammed would be the right word. 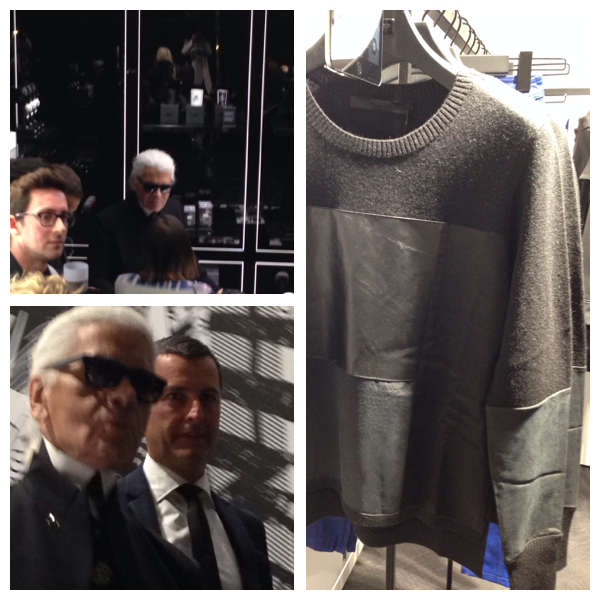 So, you can see I got my pictures – they’re not very good but I am SO happy that I have actually seen Karl Lagerfeld. I took three pictures in total because I didn’t want to actually miss looking at him. He walked very slowly down the stairs, with a very serious face, as though the crowds weren’t even there. In the top picture of the collage, just after he had come downstairs, he is speaking to Hilary Alexander and giving her all his attention – a complete transformation from the man on the stairs taking no notice whatsoever of the hoards. I wonder if he had his Diet Coke? When I got outside (I left really quickly because my feet had had enough of high heels and standing) it was mayhem – security, police, fans.. and a Karlified black cab! Back to reality, I watched the throng from the other side of the street while I waited for my bus! 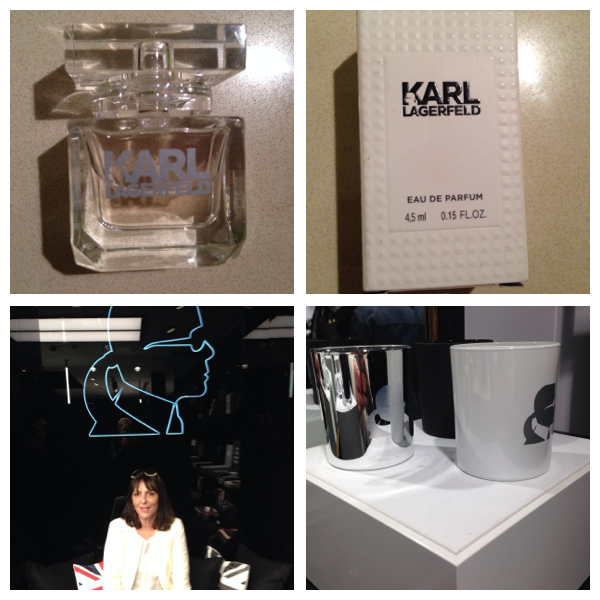 Karl Lagerfeld Fragrance for Women is at Harrods now (HERE) for £32 – there is also a men’s version, also at Harrods. 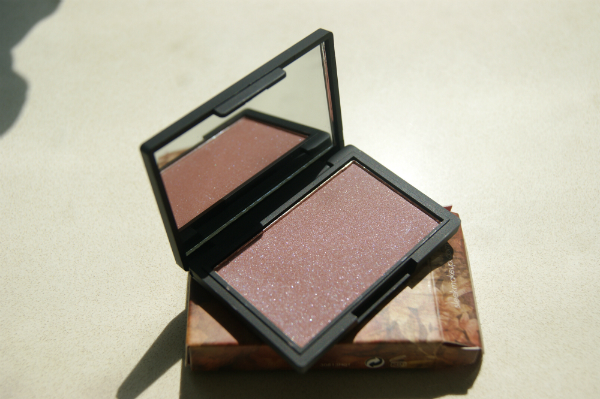 If you like sweet and light fruity-florals, I’d definitely recommend checking the fragrance out. It’s a perfect whisper of summer. As an animal lover I have no respect for the man. He single-handedly brought about a revival of real fur in the fashion industry after it had all but disappeared from the catwalks and was seen as cruel and inappropriate in a humane society. 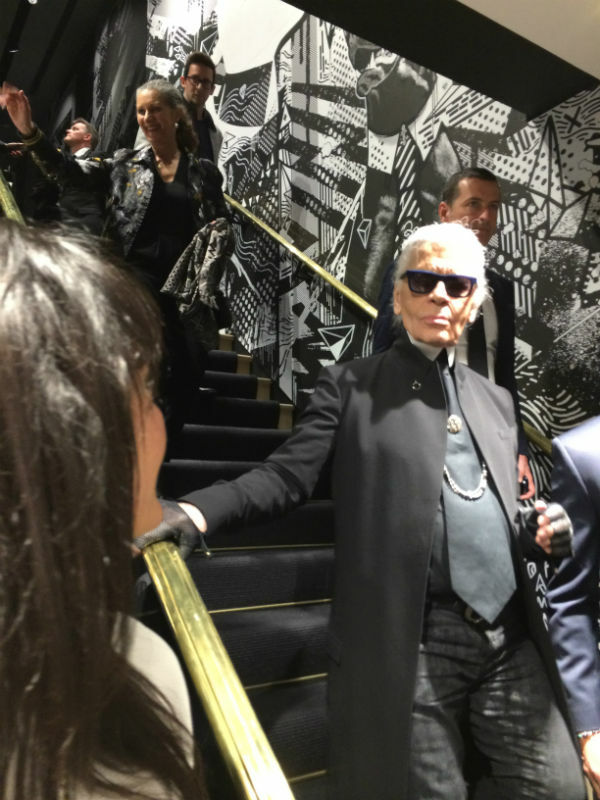 I agree with the above comment, he may be a ‘dapper, dapper man’ but he is also a really horrible human being- http://fashion.telegraph.co.uk/news-features/TMG9066572/At-it-again-Karl-Lagerfeld-lets-rip-on-his-world-view.html I wouldn’t touch anything with his name on it with a barge pole. I am on the boards with the commentators above, he only lives for the cult of himself to the detriment of everything else. And I find that media in general really play the role of enablers in this case. They help him propagate and impose his nasty vision of the world. Also I have read somewhere, that people who are constantly making comments about other people’s appearance are in fact struggling with their own feelings of ugliness. I think that it is exactly what is happening here, he is projecting is self disgust onto others. Personally I am waiting with impatience for his retirement. It can’t be long before he retires – I heard that he is 83! I agree with both comments above. Nasty old man. I can remeber watching a documentary on him when he was at Chloe and had designed the most beautiful beaded evening dresses with a twist. Have been a fan ever since even though he can be infuriating. I agree.. he says some very silly things.. but I just wanted to actually see him. That’s Princess Beatrice, not Eugenie! Thanks to the commenters above for letting me know about his stance on fur. I might have been tempted by his wares if I hadn’t known, but now I do I’ll not be touching them with a barge pole!